Château de Chambord is the icon of Loire Valley, a region with almost 50 castles in France. Chances that you’ve already seen a shot about it on Insta is pretty high and it’s one of the most famous castles in France. As usual there is a good reason for its fame. 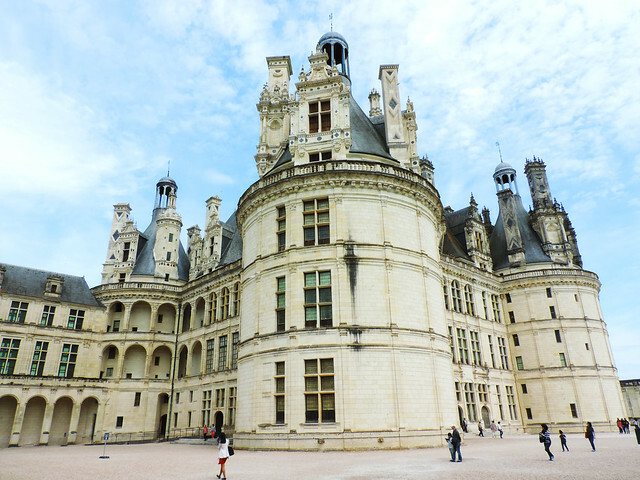 Why has Château de Chambord impressed us? Can you imagine a castle with 77 staircases and 400+ rooms? 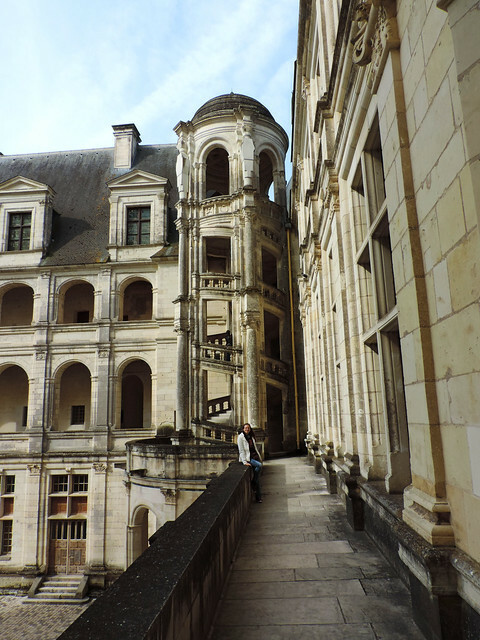 Chambord is this giant and still it’s an incredibly elegant building. It impressed us both with its size and its style. 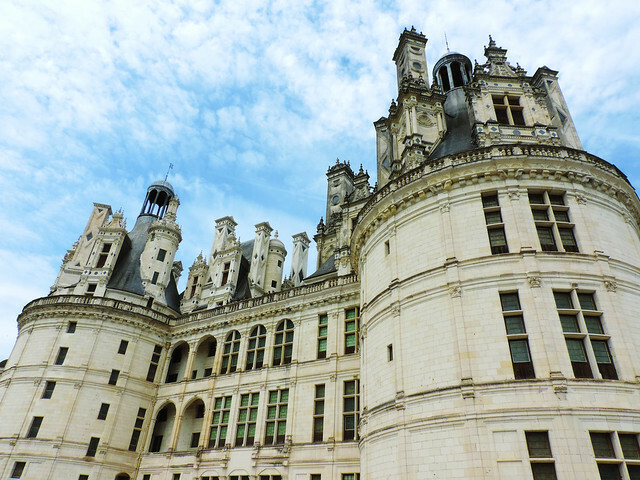 It’s a masterpiece of French Renaissance architecture and though we can highlight the rooftop constructions, the facades and their decoration, the symmetry of the buildings, Chambord is just perfect as a whole. No, we are not expert in architecture (very far from that, actually), but places like Chambord motivate us to get to know more about it. The famous double spiral staircase in the center of the building is the most unique staircase we’ve ever seen! No one knows for sure who designed it, but most probably Leonardo da Vinci. And who was the architect behind the whole Chambord project? Or architects? Again, there are hints that Leonardo da Vinci has something to do with it, but it’s a mystery and probably it will always be. And we don’t regret this. It adds to the magic of this special place. 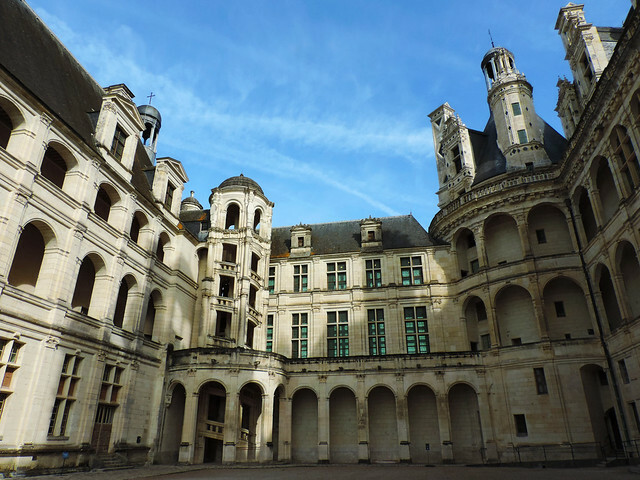 They started to build Chambord in 1519 as a hunting lodge for King Francis I and guess what, it was never completed. Each of the following owners have done some work on it, but it was never complete. It became state property in 1930 and today it’s in the closest state possible to its original Renaissance design. You might think it’s kind of funny that such a perfectly looking castle was never completed, but you know what’s even funnier? That Chambord was basically kind of useless for a long time. I mean King Francis I who ordered to build it spent very little time there and after that no one has really ever lived there permanently. Not to mention that it was impossible to heat up this giant building and its 400+ rooms. So it was not a pleasant place to live for most part of the year. Reading about its history we felt that it was a burden for its owners: an expensive and unpleasant place. But definitely majestic. 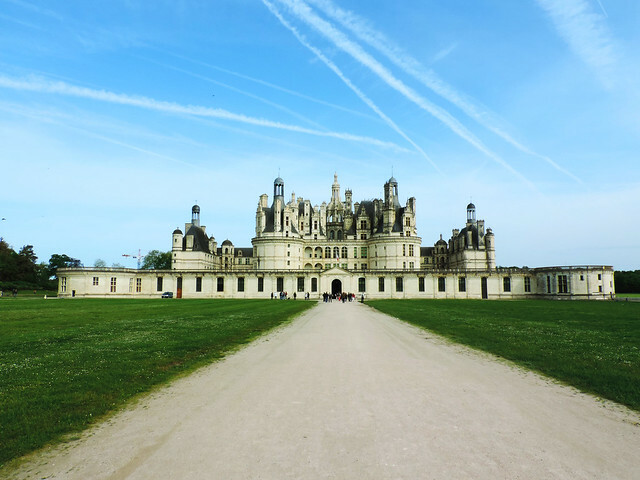 Would you visit Chambord? Do you have a favorite castle? 400 rooms sounds insane (especially with no heating), no wonder no one wanted to live there full time! It looks like a magical place, though – it’s definitely going on my “places I need to see” list. How beautiful! This city sounds amazing. The building you feature here is so detailed and full of character. Thanks so much for letting us in on a bit of your adventure! It’s definitely one of those that screams to be photographed. 😀 Thanks for reading, Morgan! Those are some amazing pictures and it looks like a place I would love to travel to. At one point I thought that I would love to get married in a castle tough settled on Nonsuch Mansion in the UK instead. It was still a very happy day.